Sometimes there’s a thin line between punk and hard rock. 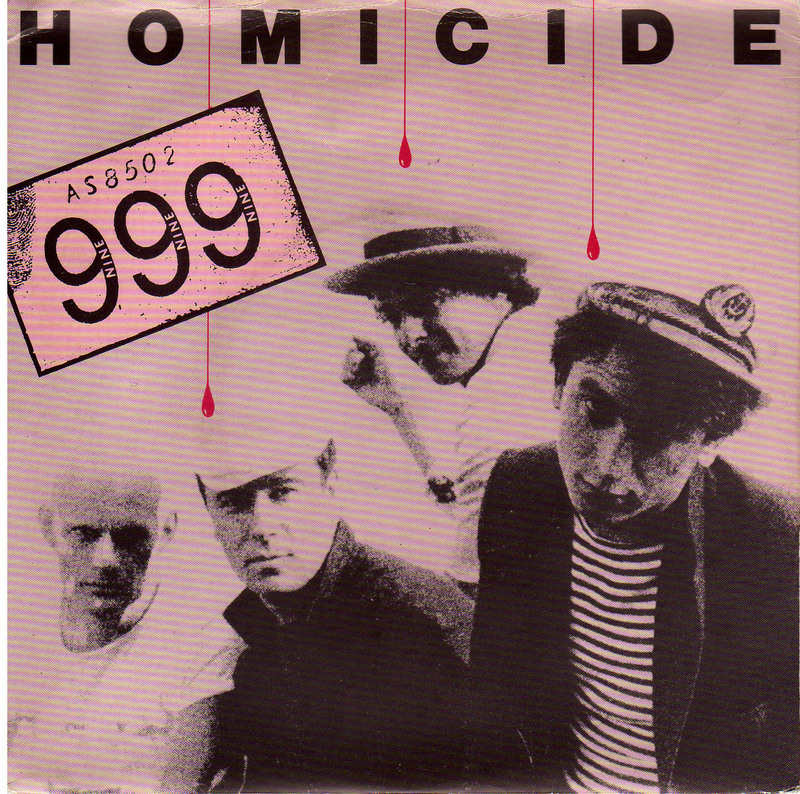 Recorded in 1978, in the earlier days of punk, 999’s “Homicide” set raw vocals to a driving beat that wouldn’t have been on out of place on an AC/DC album. There's also a hint 0f T-Rex. Written by lead vocalist-guitarist Nick Cash and lead guitarist Guy Days, “Homicide” was taken from the London-based band’s second release, Separates. Listening to this song always brings me back to the days when I hung out at Harlows/Pips/Haywires. It was about the only venue on Chicago’s southwest side where punk occasionally raised its spikey head, and the club changed names in such rapid succession I can’t remember at this point which name goes with any specific time. Always a master of the platonic relationship, I had some wild and attractive women friends who would badger the club’s DJ to play “Homicide” between band sets. When he finally gave in, they would dance up a storm to it. Depending on which lyrics site you choose, the song either kicks off with the proclamation, “I believe in homicide” or “I believe it’s homicide.” Over the years, I’ve always thought it was the former. There’s also a discrepancy on the line, “They’d rather say that its a red alert,” which another site shows as, “They’d rather say that it’s irrelevant.” Just don’t let my younger brother take a guess, because he’s notoriously bad at hearing lyrics.